Macaneta is often referred to as a small island just north of Maputo. Whilst not technically an island it can be reached by a new bridge from the small town of Marracuene. There is a wide selection of lodges, resorts and hotels on this beautiful ocean beach. Cova de Tubarão is just 35km north of Maputo on the secluded Macaneta Beach. Enjoy the sunrise and sunsets over the ocean from the comfort of your bed and from the sundeck of your luxury log wooden house, while sipping exotic cocktails. Not even the whales in the distance will disturb your sleep. 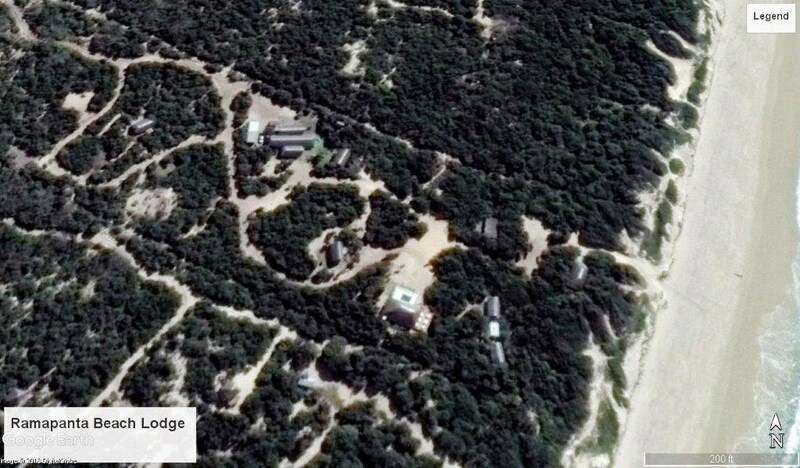 We have a bar and a restaurant with a walkway onto a deck on the dunes in front of the lodge. Breathtaking views over the ocean where you can sit and relax and be spoiled by our friendly staff. Enjoy the ideal Mozambique beach holiday with our lodge that offers a little bit for everyone, especially families. We have a trampoline and jungle gym for the kids, quad bike hire is close by, and for the bigger kids we can organise trips to Inhaca Island and of course the Mozambique coast offers incredible fishing. With Macaneta's most spectacular sunsets, Lodge Quinta do Lourenço has quickly grown a reputation as being one of the best places in Macaneta to dine in the evening or for both lunch and dinner for that matter! Relax in this peaceful Macaneta location with the beach closeby, and the Inkomati River delta at our front providing for amazing unterrupted sunset views. The lodge has modern double and family rooms with air-conditioning - there's no need to settle for "rustic" when you can sleep in comfort with our sparkling pool only a few metres from the rooms. Lodge Qta. do Lourenço also has capacity for small conferences with our large restaurant and rooms available should the conference run for multiple days. Rooms start from as little as 4.500mtn in low season. Lugar do Mar - The jewel of Macaneta - a small intimate lodge where you are able to relax at the poolside listening to some lovely background music, or enjoy the amazing beach. Choose either one of our deluxe hotel rooms or newly upgraded self-catering chalets, whichever you choose, don't miss out on trying the sumptious meals from our newly revamped restaurant and buffet breakfast over weekends. Our lodge is only separated by one dune from Macaneta's warm ocean water, our proximity to the beach is hard to beat. If you want a small escape from Mozambique's endless sun laze by our generous pools with its unique decking. 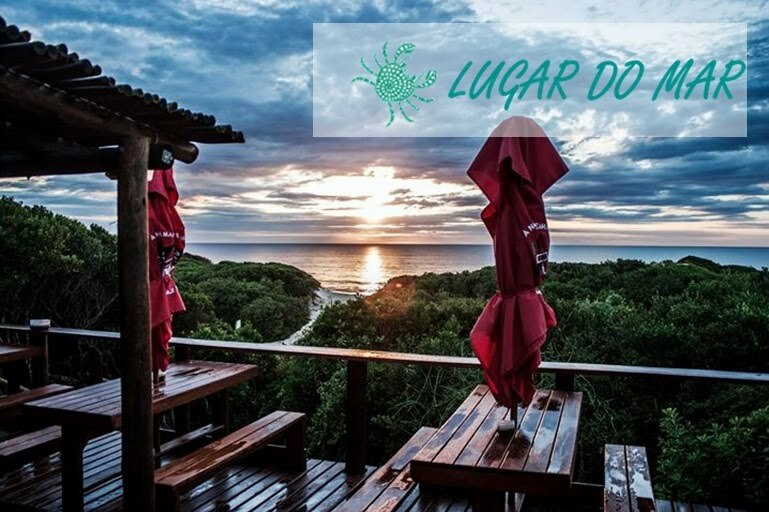 Lugar do Mar is a special Macaneta destination offering that little bit more for your beach vacation. We speak Portuguese, and English, and look forward to welcoming you to Macaneta. Tired of city life and need a break? Ramapanta Beach Lodge is the perfect choice where Beach and Bush meet in perfect harmony. The lodge is situated 30km north of Maputo and 100km from the Lembombo border post and now with the Macaneta Bridge completed you can easily reach us any time of they day. The chalets were built with beach access in mind and are only 20-50m from the Macaneta sands. Chalets offer electrical solar lighting, bbq areas, ample shade and hot water. Chalets are serviced daily. The lodge offers excellent deep-sea fishing for fishing addicts (availability dependent) or if this is not your thing don't worry as local fisherman bring in all sorts of fish, prawns and calamari frequently from the beach in front of the lodge. 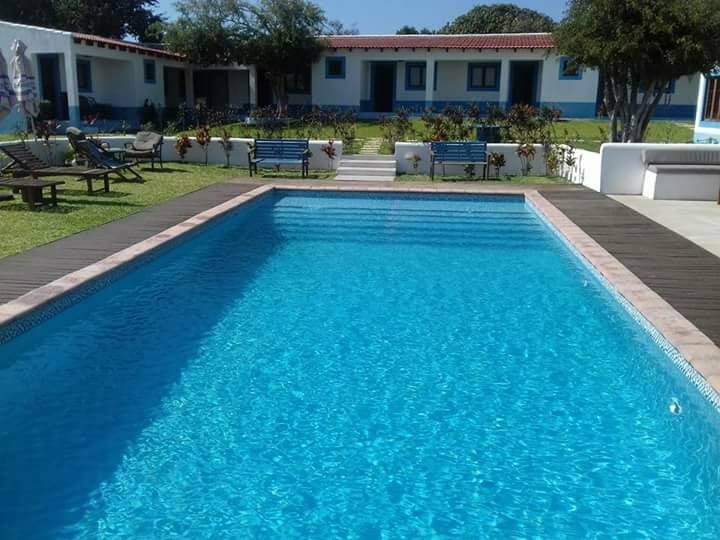 A family favourite with probably Macaneta's largest pool, Sunrise Lodge is also Macaneta's largest lodge and a standout selection for anyone travelling to this famous beach. Sunrise Lodge is one of just a very few lodges on the Macaneta Peninsula that are right alongside the beach and beach dunes allowing direct access to the clean sands and refreshing Indian Ocean waters. There is self-catering accommodation available how most clients can't resist the famed seafood dished that many travel all the way from Maputo just to enjoy. Sunrise Lodge is also renowned for it's capacity to receive the largest conferences with vast space for meetings and also for catering for meals. Information and image of this fantastic boutique option , Vamili Lodge, to be posted shortly!